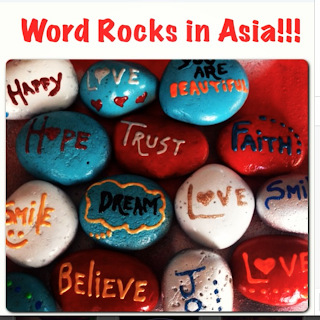 'Word Rocks' all around Asia! Last weekend Martin H. found one of our rocks that was placed by volunteer @calvariainfatuation. As he is going to a trip around Asia next week he offered to bring word rocks with him. Thailand, Cambodia, Vietnam, Singapore, Hong Kong, Taiwan, South Korea, and Japan.... How cool is that? !